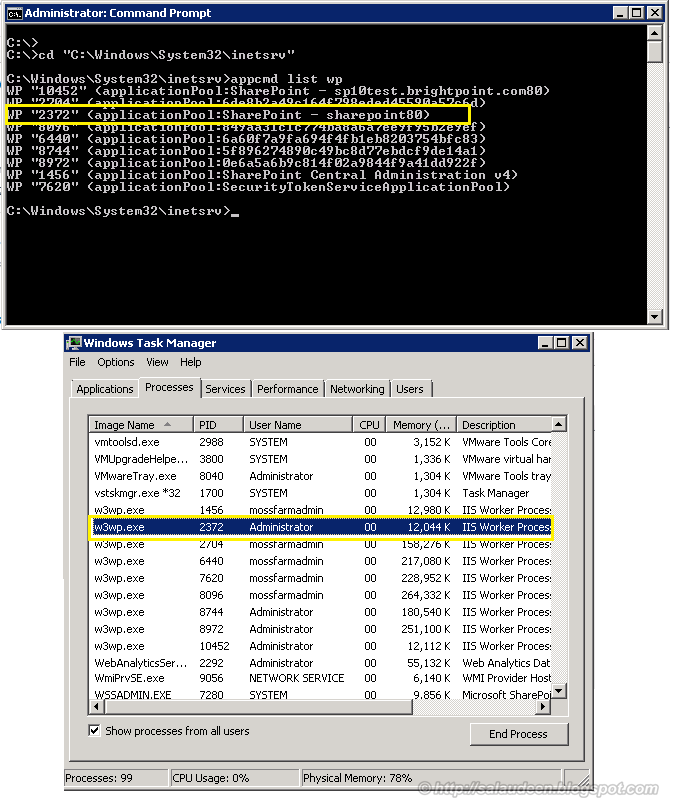 When multiple web applications running with multiple application pools, they will create multiple worker processes (W3WP.exe). While debugging code from Visual studio, we got pick the one belongs to the target web application, otherwise, debugger will not stop on break-points! Don't forget to select "Show processes from all users", otherwise w3wp won't be showing up in attach process window! How to select the correct W3WP.exe to attach? If you use different user accounts for different application pools, you can just pick the right one easily by checking "User Name" column. Select the "PID (Process Identifier)" column from the list. Now go to command prompt, go to the directory "C:\windows\System32\Inetsrv"
This will list all running worker processes and their associated web applications. 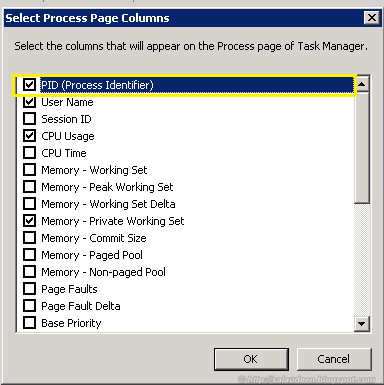 Now open the Task Manager to match the PID with the desired web application's worker process ID. Now you have the right w3wp process to attach! Here I have my custom code deployed in the web application "SharePoint80 " and wanted to debug the same. So the W3WP process I've to attach is 2372. If you are running IIS 6 in windows 2003, You can get the list of worker processes with their associated web applications by running the vb script: iisapp.vbs located at: c:\windows\system32 folder. You can type cscript iisapp.vbs in command line. If it says "Error - No Results" - Either your IIS sites are in Stopped state or no worker processes running.! 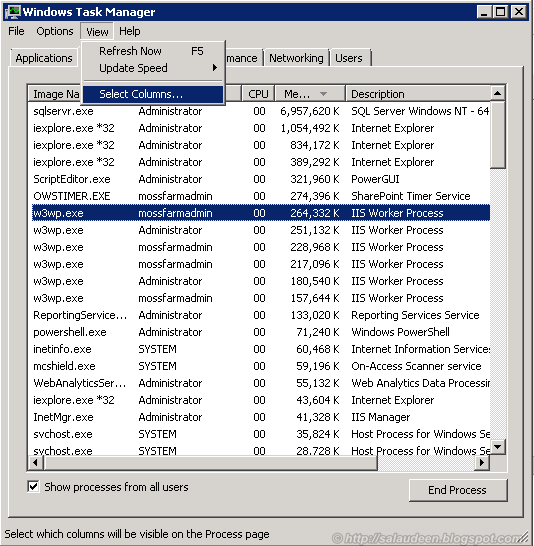 Alternatively, You can use Process Explorer from Microsoft to get the right worker process. 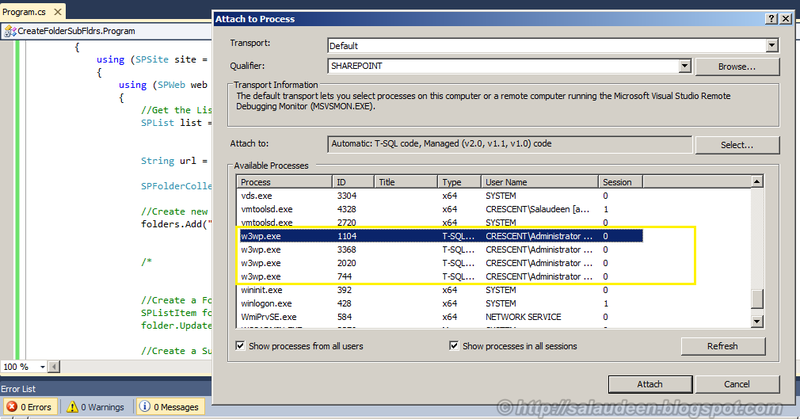 Make sure you are selecting "Command Line" column in view to get the process with its associated web application.